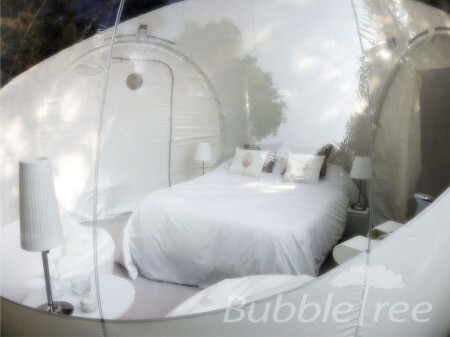 Partially opaque, BubbleRoom is a romantic accommodation for those who dream to spend an unusual night under the stars. 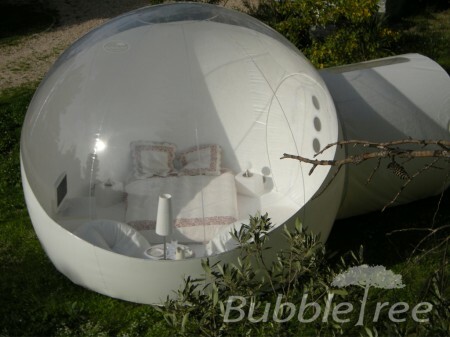 This Bubble is more cocooning; it offers the comfort of a de luxe hotel room. 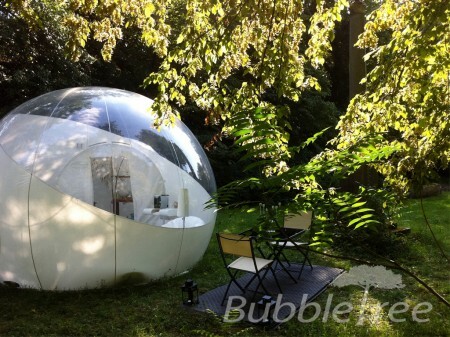 Over 240° the mystery of the Bubble is preserved. 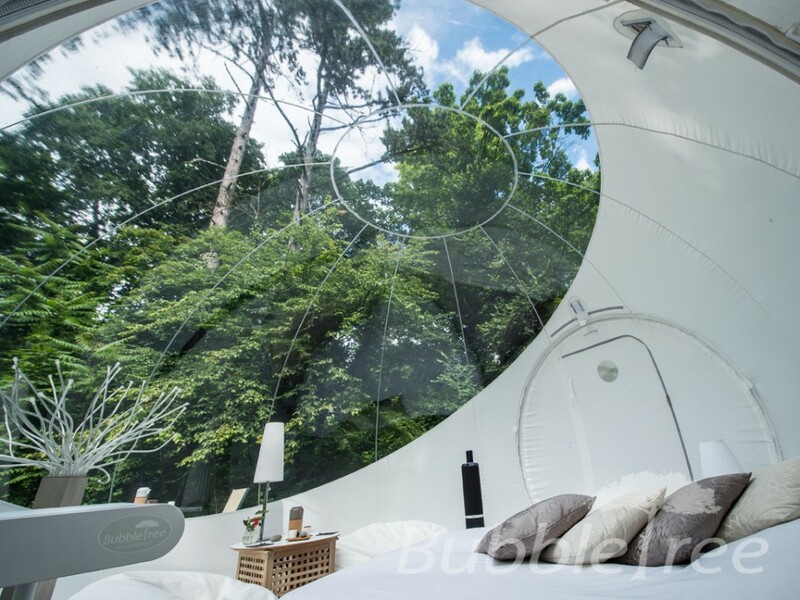 Hidden from the looks, the guests enjoy the stunning views. 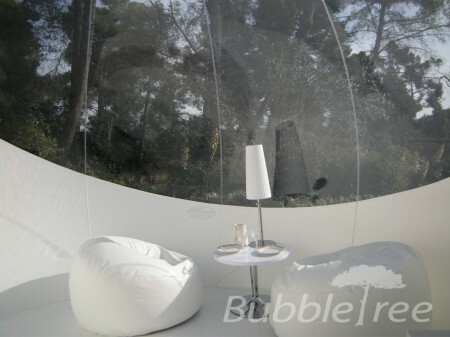 The design of BubbleRoom emphasizes the protective spherical architecture to create a cozy nest. Once in the bed, you get enchanted by the magic of the sky invading your sight. 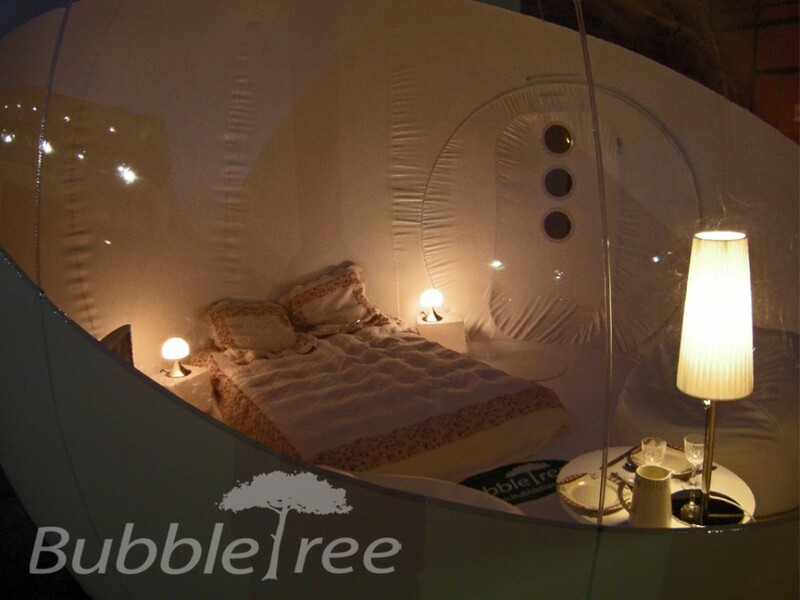 An ideal place for a honeymoon escapade. 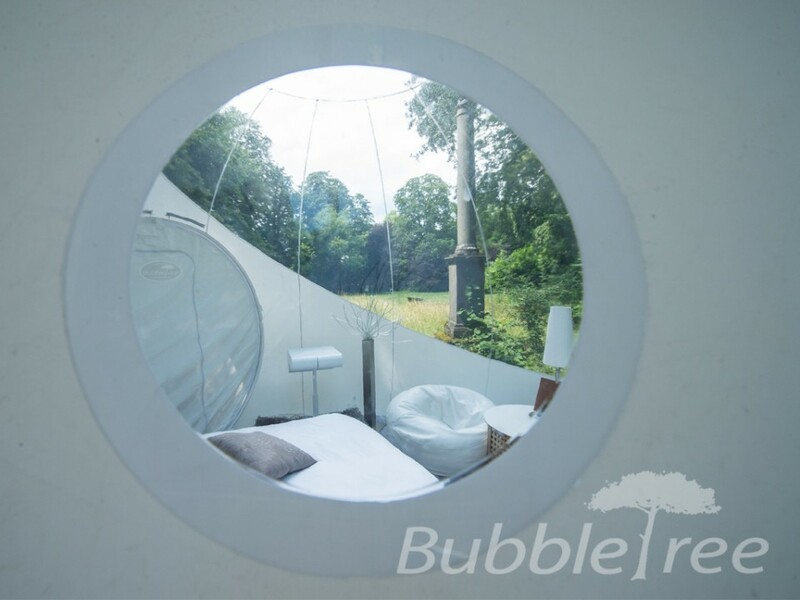 Composed by two semi-spheres, a pure white and a bright crystal, BubbleRoom evokes the Greek myth on the genesis of humans. Only gods will bear witness to the magic of love that recreates the original being, long ago deprived of its spherical wholeness, and gives to people the divine power.